Home . Publications . Oh No! It Can’t Be! Oh No! It Can’t Be! Planned Parenthood had its “Grand Opening Celebration” for the MEGA-killing center at 1225 4th Street in Washington, DC, this week. After cocktails and a tour of the building for VIPs, the party moved to a nearby restaurant. I have been on the front lines this past year and a half and have spent most of my priestly vocation as a pastor in a parish, but I have learned much lately “in the trenches” with some truly heroic folks. I am proud of the pro-life witness. I am heartened by the number of young people who not only see through the lies, but who hear the call to stand up and do something to end the abomination perpetuated by Planned Parenthood. The dedication of these Christians is both noble and ennobling. Some of these followers of the Lord made a vigil at Planned Parenthood from 6 a.m. until 6 p.m. while maintaining a fast. God bless them! The attendees, parking valets, massive private security presence, and caterers could not enter without hearing or seeing something of the utter evil they are supporting. 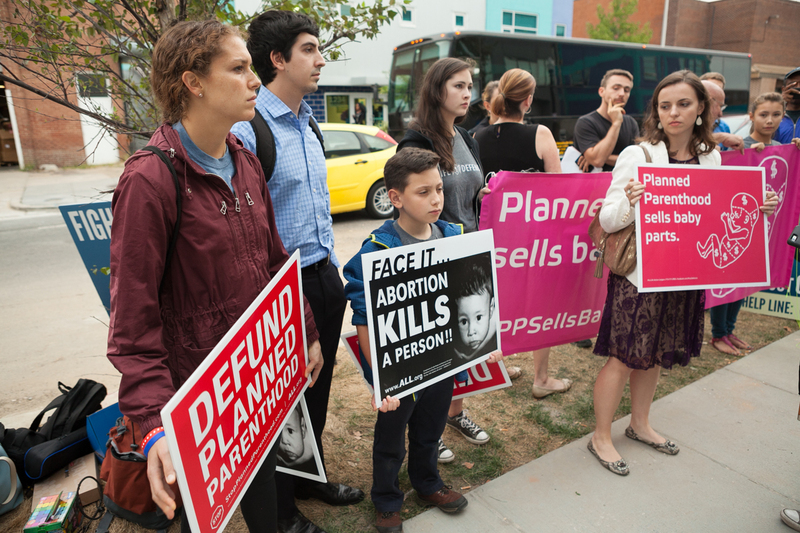 Those attending were some of the big money supporters of Planned Parenthood Metropolitan D.C. They are college educated, successful lawyers, and business people—“pillars of the community.” Upon passing signs of victims of abortion—both those aborted and those women butchered at the hands of the abortionist—some said: “You lie!” or even “Bulls***!” It was truly sad to see their eyes closed to the horror right in front of them. May we awaken from our slumber, for the Day of the Lord is near—that fearful day when we are shown the results of the bloodshed of these innocents we have so long tolerated, that day when we will see how badly womanhood has been diminished and grossly violated because of the “choice” we have made as a people. I have read a bit about when Allied forces walked through Dachau after its liberation. Some of the reactions of the soldiers who first arrived at the camps was “Oh no, it can’t be.” I hope that, for the good of their souls and the survival of our nation, the denial of some of those supporting the grave evil of abortion will soon end. I pray that otherwise good folks who so easily dismiss this unspeakable sin will wake up! "Oh no, Lord, it can't be," we might say. Though I am still processing this, I think it is safe to say that these young folks who stood outside with signs in their hands and prayers on their lips made—and continue to make—a difference. These young Christians multiply their good work calling on the name of the Lord and offering their efforts as a sacrifice placed into His Hands. Pray for them: The battle is far from over. Praised be Jesus Christ! There was rejoicing as these people of life and faith showed up, spoke out, and bore witness to the truth in solidarity with the preborn. Father William J. Kuchinsky is a member of the board of directors of American Life League.